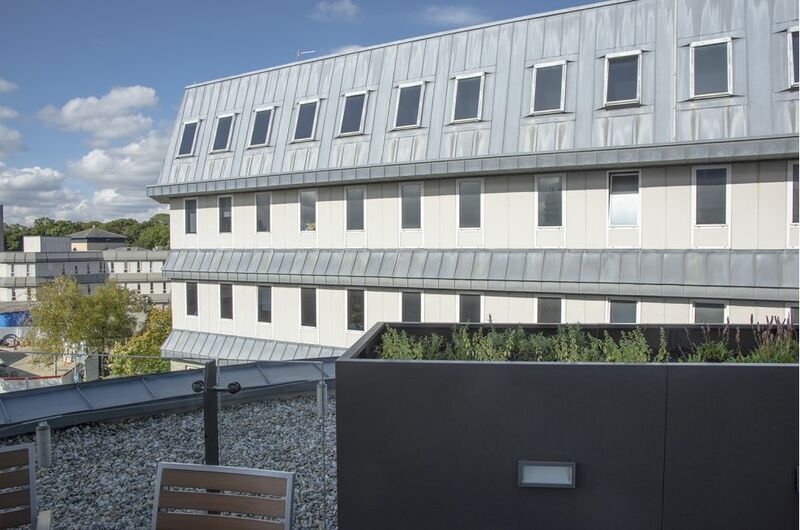 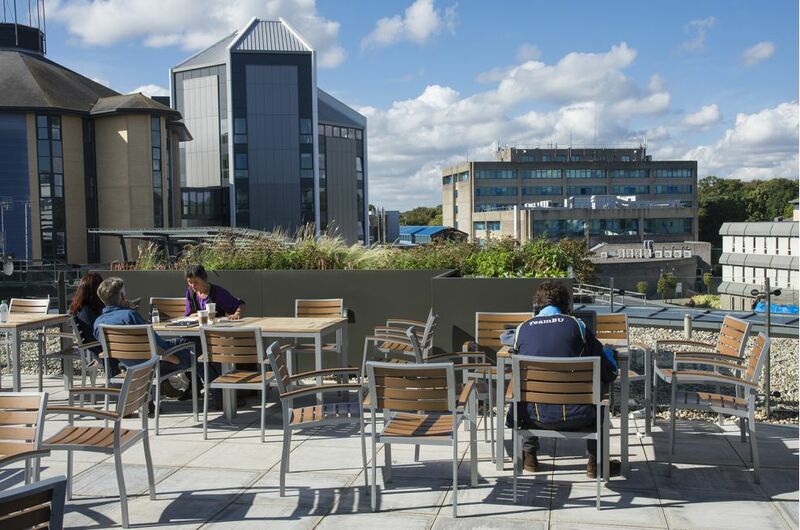 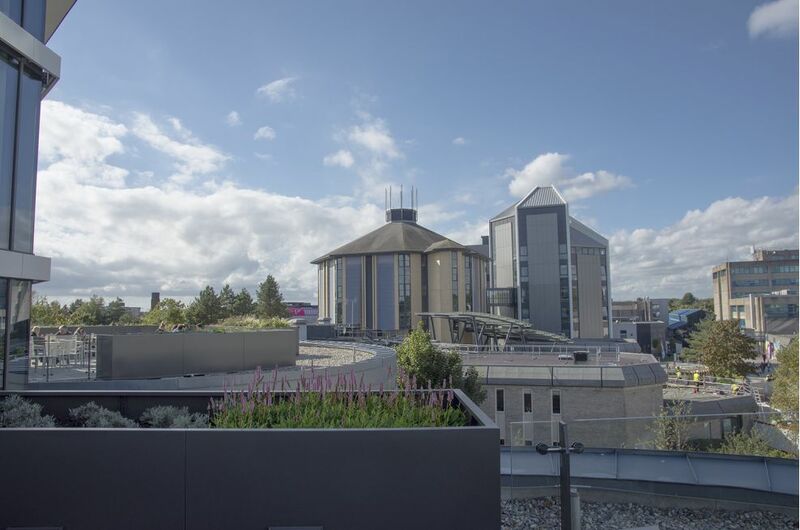 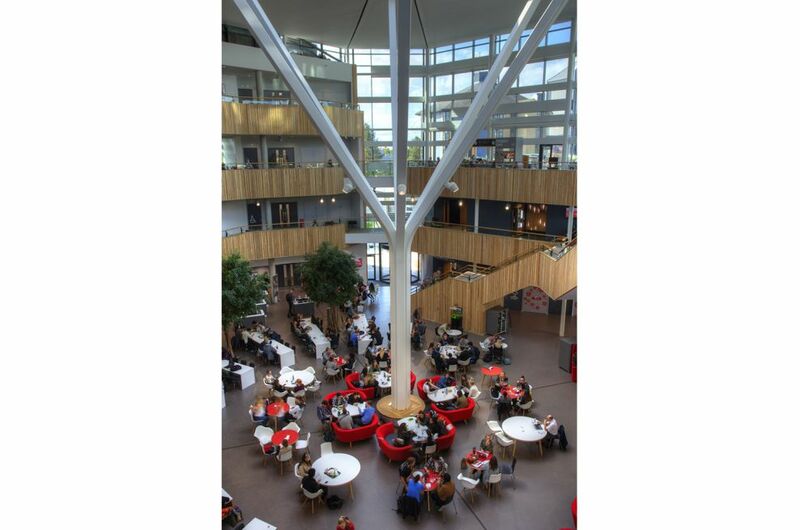 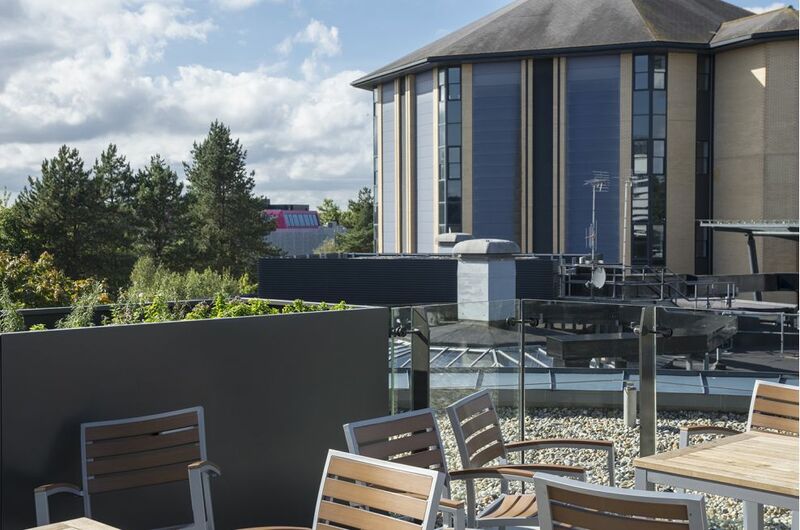 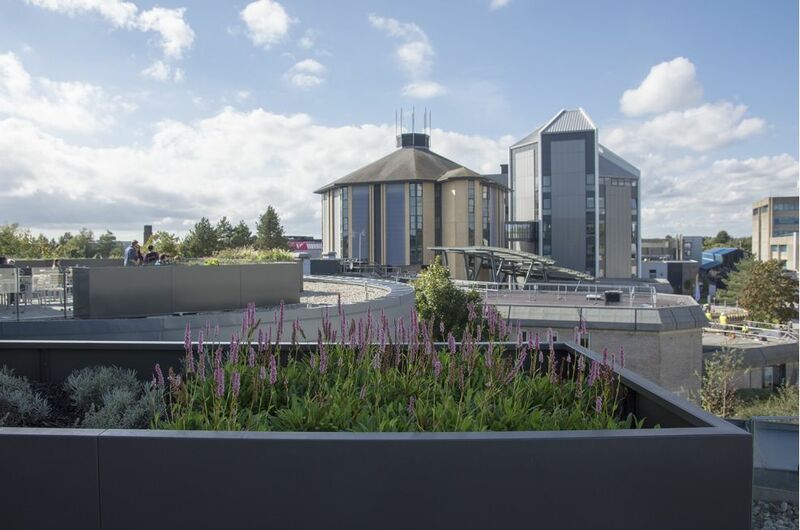 Bespoke steel planters were commissioned for the new Fusion Building on Talbot Campus at Bournemouth University. 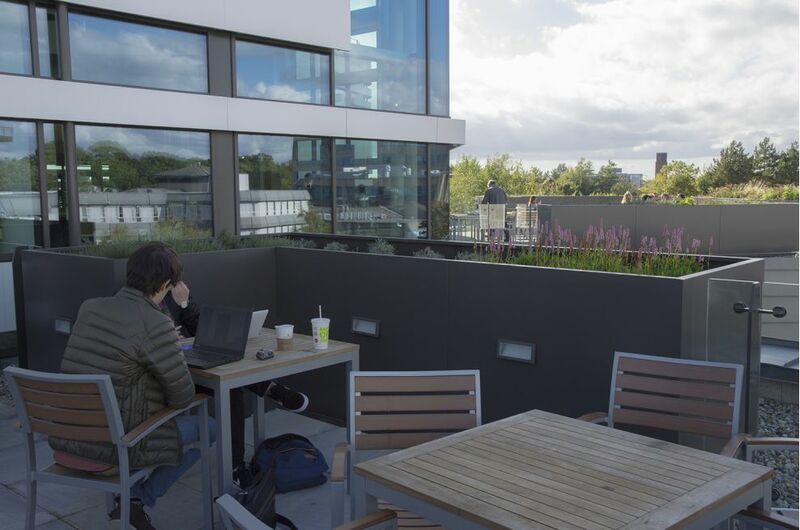 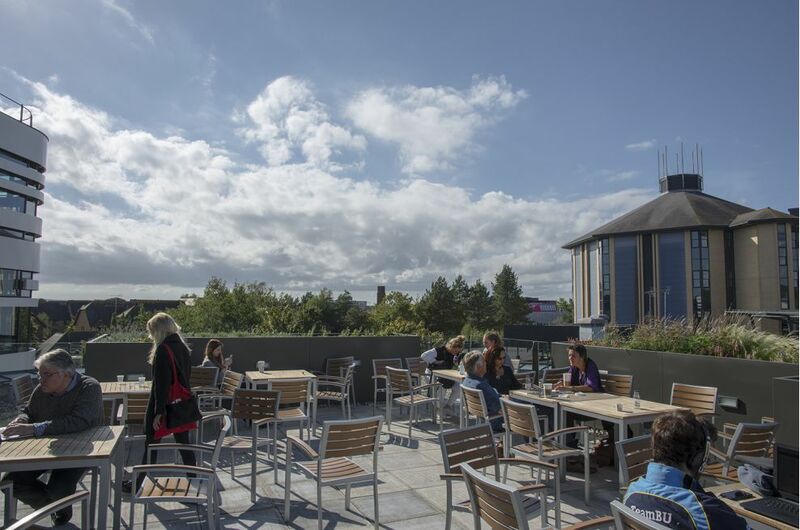 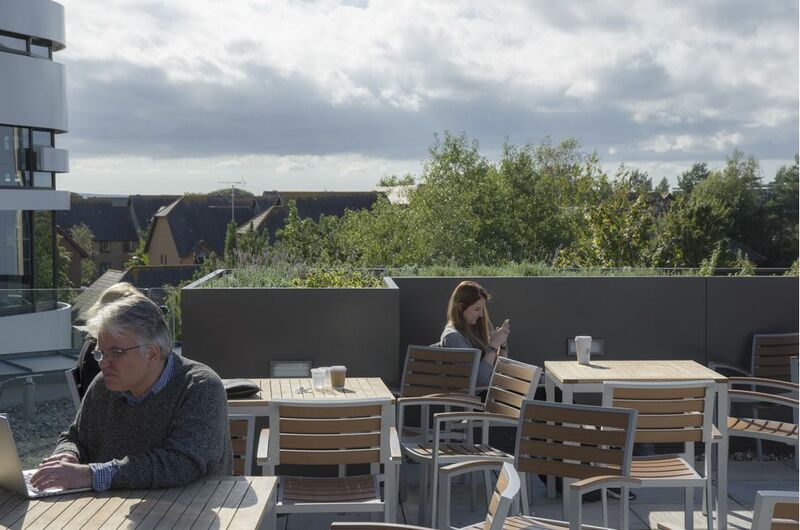 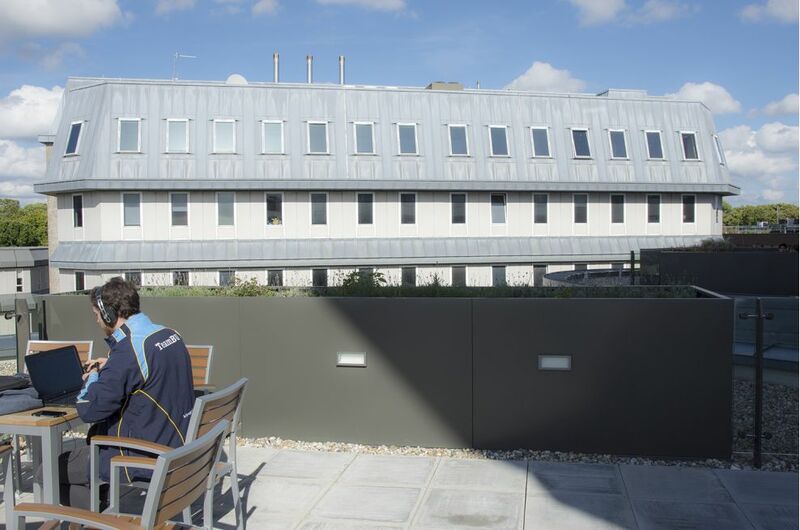 The planters create a planted, and lit, perimeter to outdoor seating and dining areas on the third floor terraces. 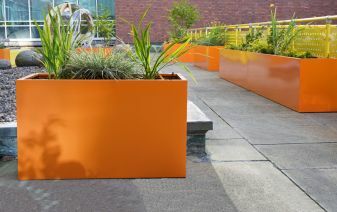 A total of 37 linear metres of planters were supplied, in a variety of configurations: including L-shaped planters, and straight rectangular planters. 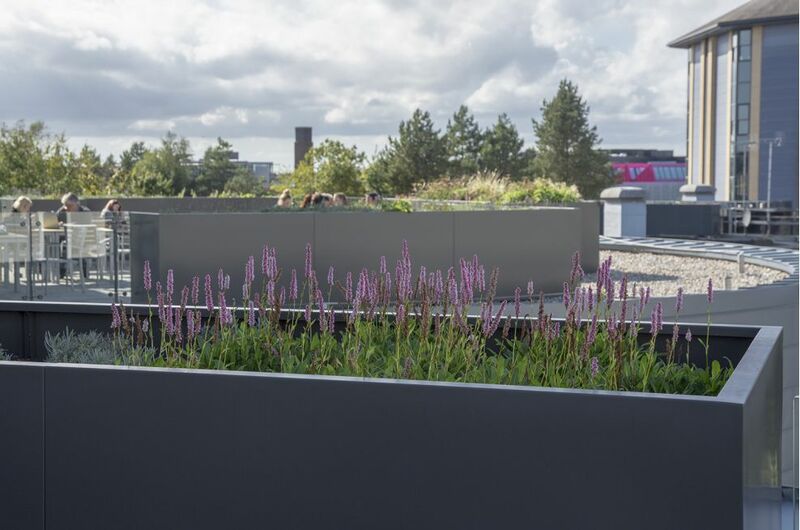 Given the lengths of the individual planters, they were manufactured in sections; to be joined on-site below the soil level, so that the surface planting appears visually continuous. 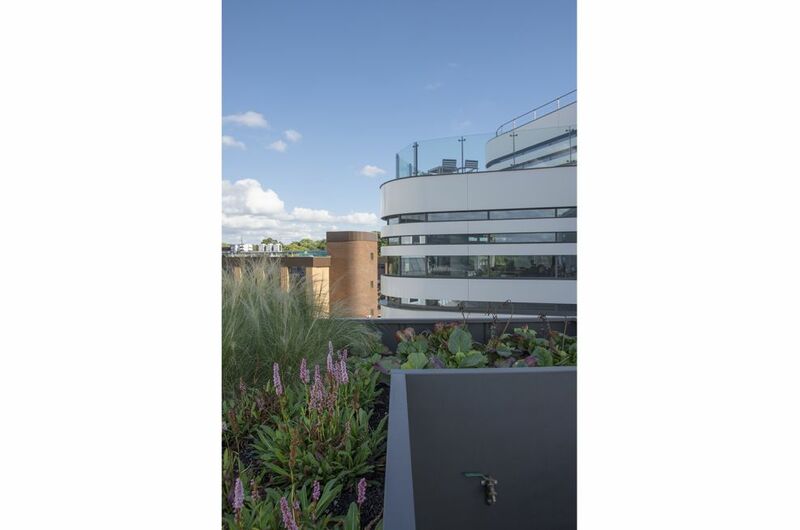 The planters all had the same profile: W 1200 x H 1100mm; and all planters were manufactured from 1.5mm thick Zintec Steel, polyester powder coated to RAL 7022 [Umbra grey]. 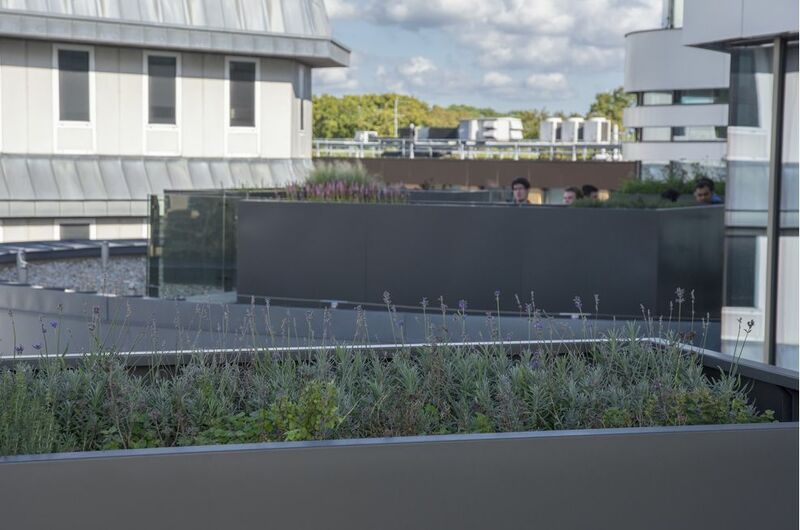 The planters also create a lit perimeter to the terraces in the evening; so all were supplied with pre-cut apertures in specified positions, for installation of lighting on-site. 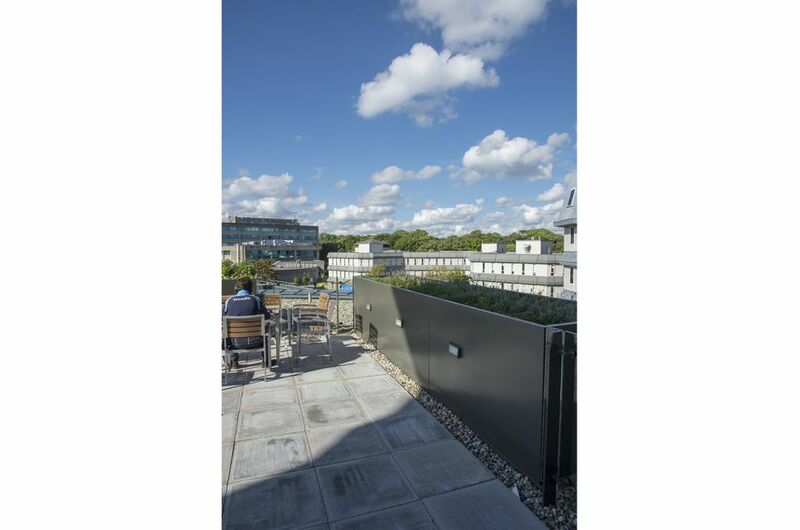 Additional apertures and holes were specified/supplied for cabling and irrigation system piping. 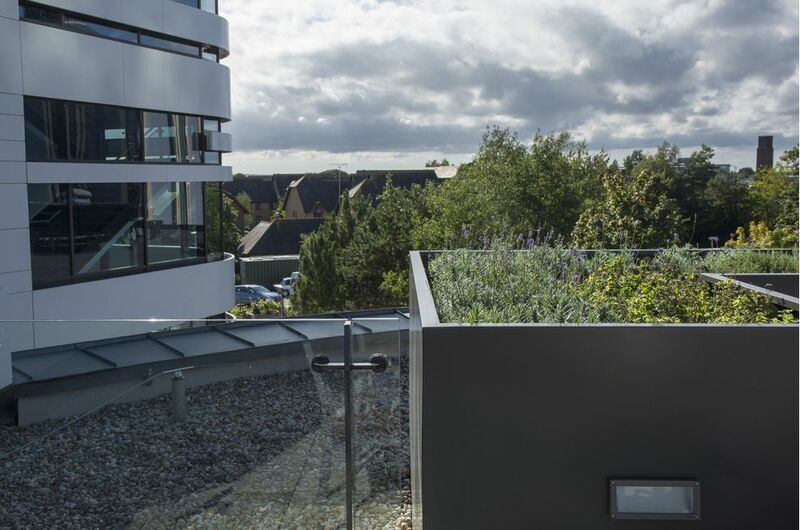 IOTA’s planters were commissioned for this project by the leading landscape management services company, The Landscape Group. 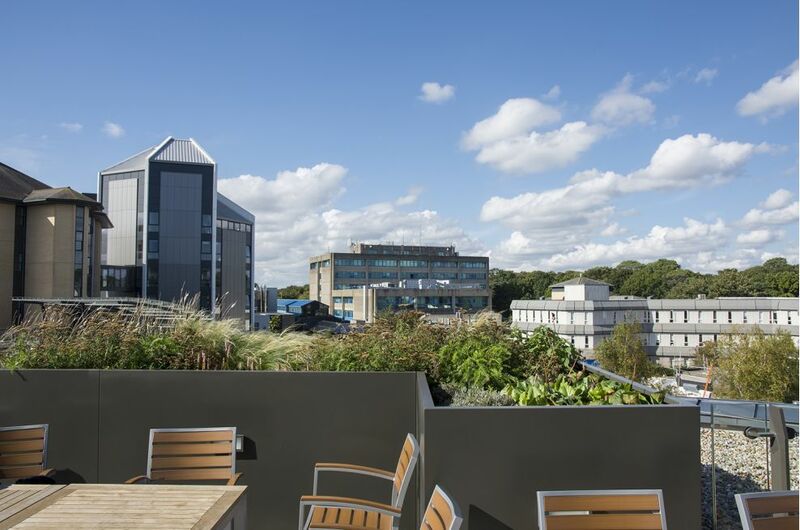 IOTA’s delivery was on the basis of design, manufacture and supply, with installation conducted by The Landscape Group.